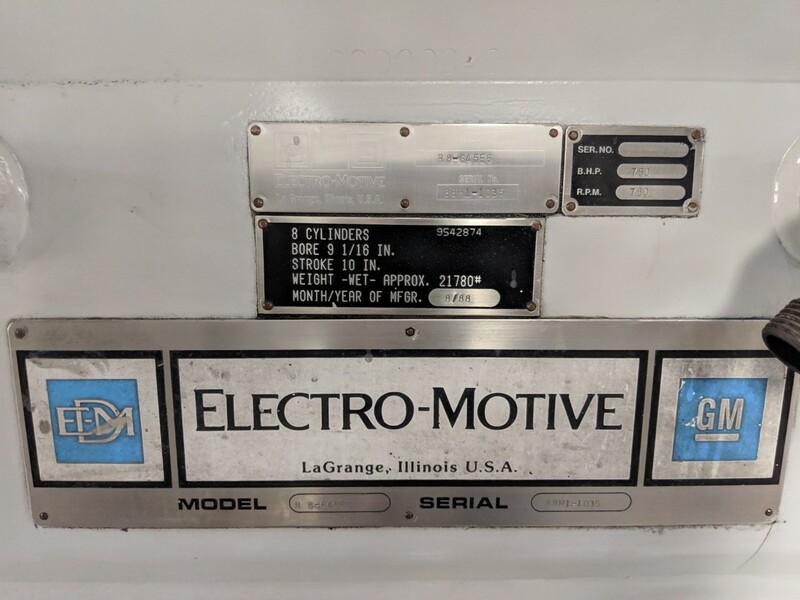 The Engine room is fitted with two (2) main diesel engines of type GM Electro-Motive R8-645E6, weighing 21,780 lbs with 8 cylinders a 9 1/16 inch bore and 10-inch stroke. 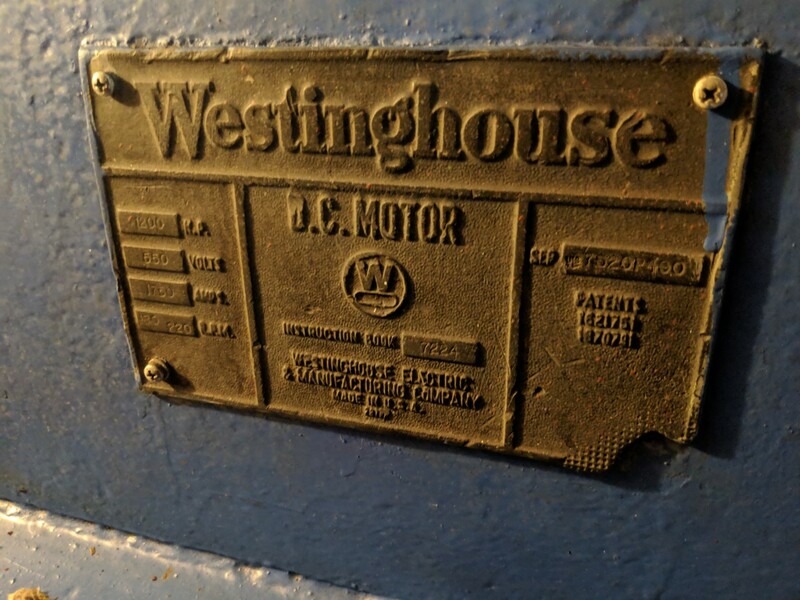 These are connected to Westinghouse 460kW D.C. generators which provide power to the Westinghouse D.C. Motor, which in turn, powers the main shaft at the stern of the vessel. 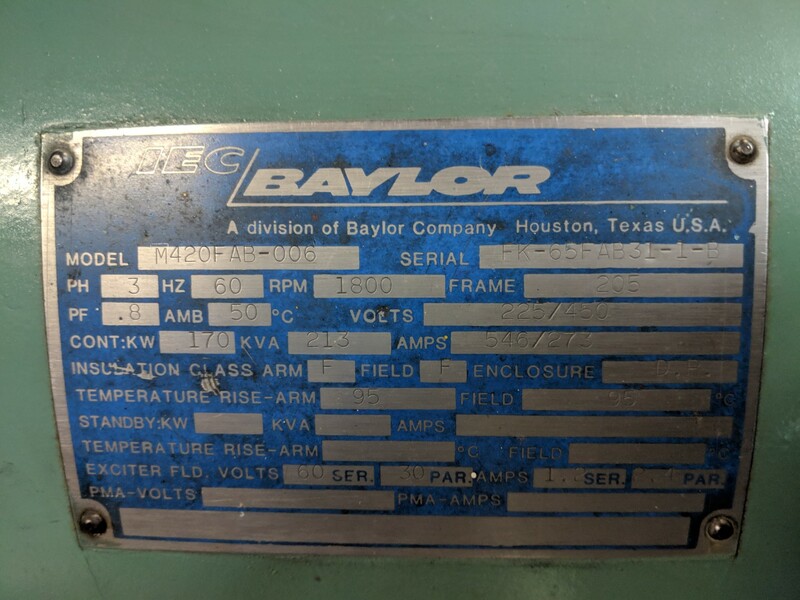 For hotel and system power, two Detroit 6/71 diesel engines are fitted to Baylor M420FAB-006 170kW alternators. 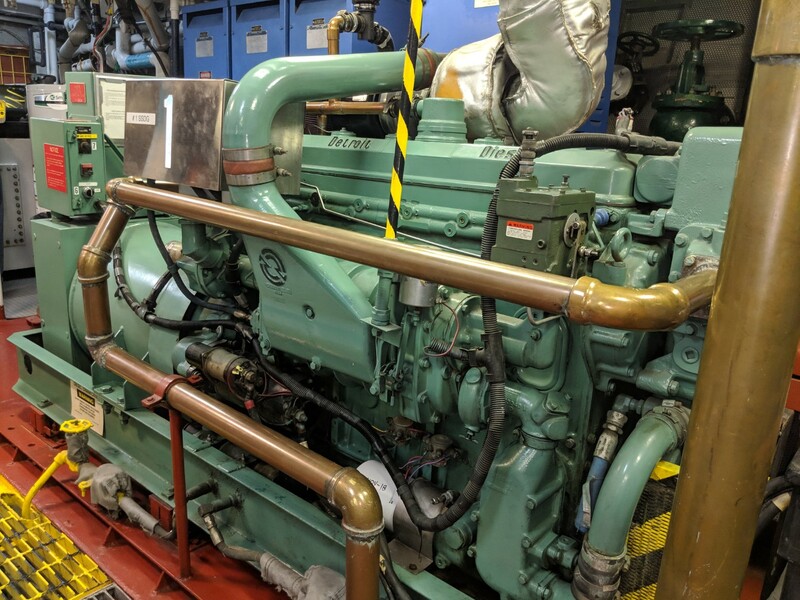 This provides electrical power to the ships critical systems, lights, and services. For example steering gear motor, galley equipment, and bridge navigation equipment. 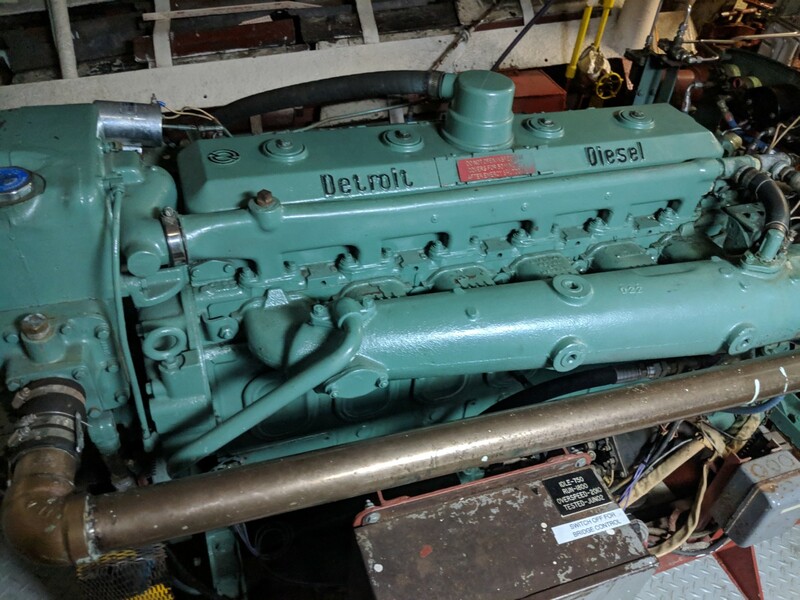 A Detroit diesel 6/71 auxiliary engine is installed in a compartment on the main deck of the vessel and is connected to a 50kW generator. 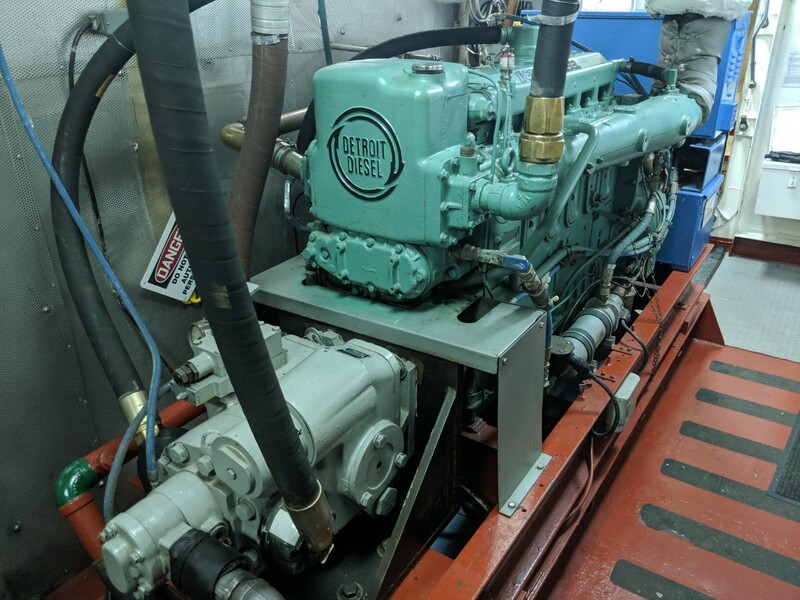 A power take-off is fitted at the stern of the engine for the hydraulic pump which powers the crane. 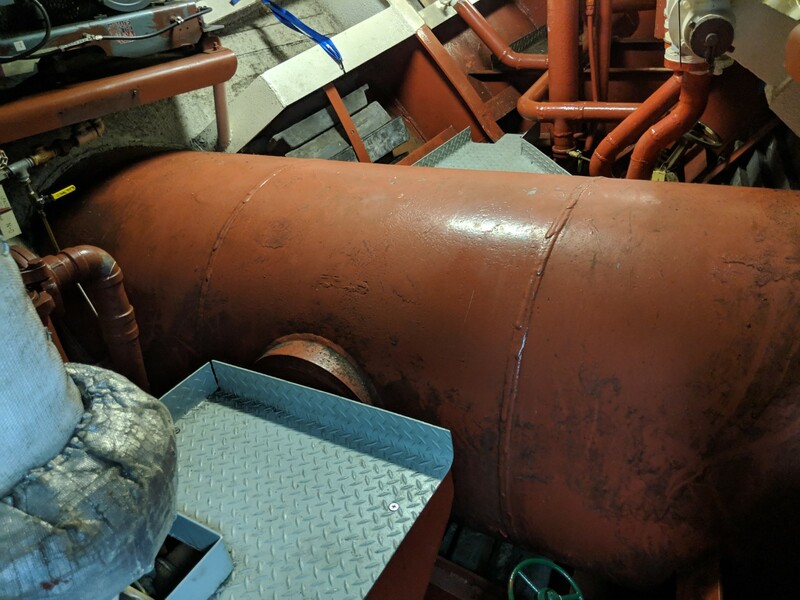 The bow thruster is powered by a Detroit Diesel 6/71 engine connected to a TwinDisc Marine Reverse gear and then into the shaft driven tunnel thruster. VR Tours. Click the image to scroll, zoom look up or down.